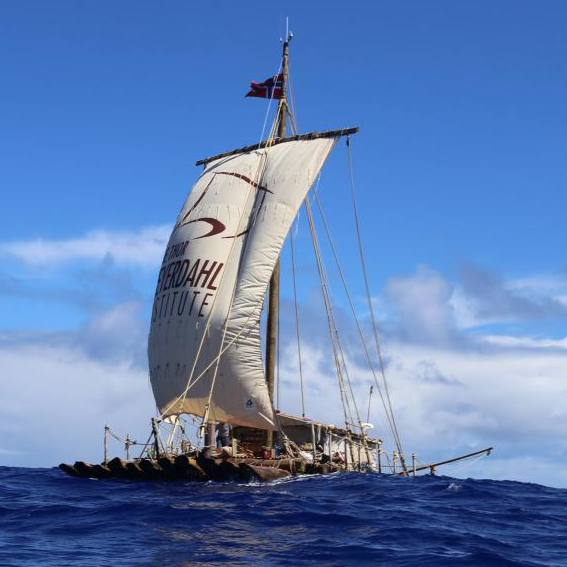 Cite Kontiki2: "We can't sail closer than 100 degrees from wind, 90 degrees is not possible, no matter how we position Guaras and sail"
They build two balsa rafts, sailed out on the sea - and lost both rafts in the South Pacific Ocean - without any explication. 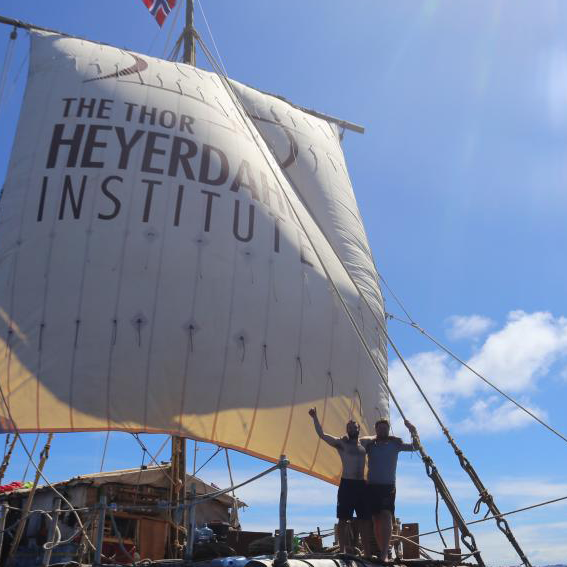 The Kontiki2 expedition left Callao, and on their way over the ocean we recieved the cited message, which didn't give reason for deeper worry, because even if they had left Callao without any test of their new rafts, they should be able to reach Easter Island and there correct what would be faulty. We don't know what they did on Easter Island, but they sailed out again and lost their rafts in South Pacific. We have never got any explication around their shipwreck. Total silence. 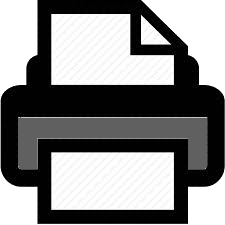 Therefore it has been left to ourself to find out, and this desktop exercise is a part of this investigation. 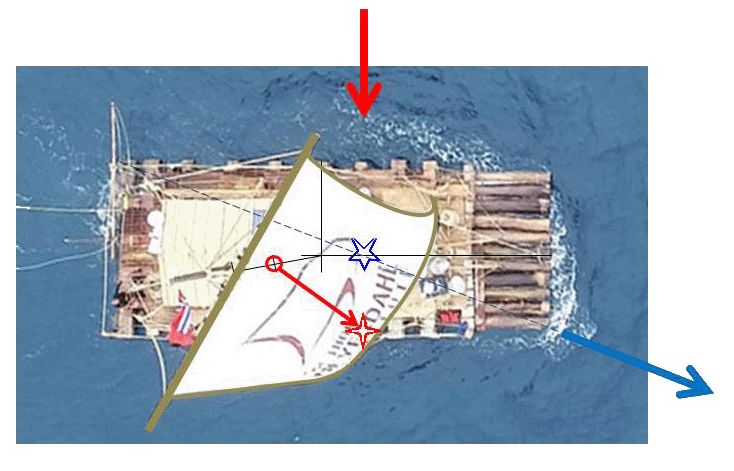 This is an explication how we have analysed the adjustment of their sail, and the concluson is that the square sail was adjusted for centerline sailing, as is how they always have sailed on the North Atlantic ocean - but the Photo show clearly, that the raft is sailing along a diagonal, and therefore the rigging should have been adjusted for that. Here we demonstrate how we on base of the photo + some sketches relative easily can correct the wretched situation. Here we are showing some simple computer drawings and manipulating by turning and twisting sketches, we demonstrate that the sail could have been adjusted better. 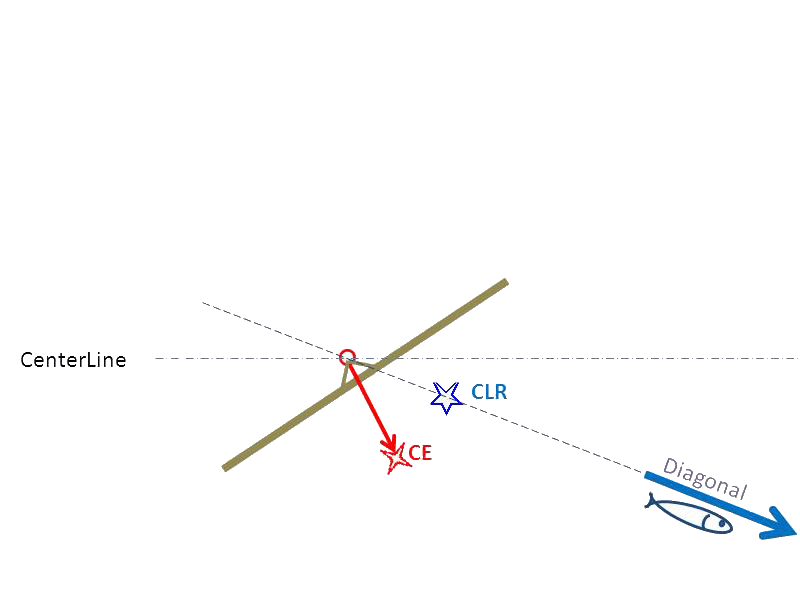 If a craft is sailing along a diagonal, she can crab on along this diagonal without greater problems, as long as the sail is adjusted for this, and not adjusted for the centerline of the vessel, as a rigging normally is set up. 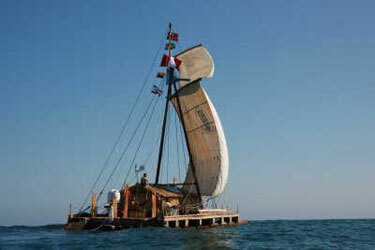 And that was what we saw they haddn't done in the Kontiki2 case. But of course the Kontiki2s instead could have made their raft to point along the centerline by using their Guaras adequate. A Guara raft can point in every direction all the compass around! - so that should be easy to point higher. 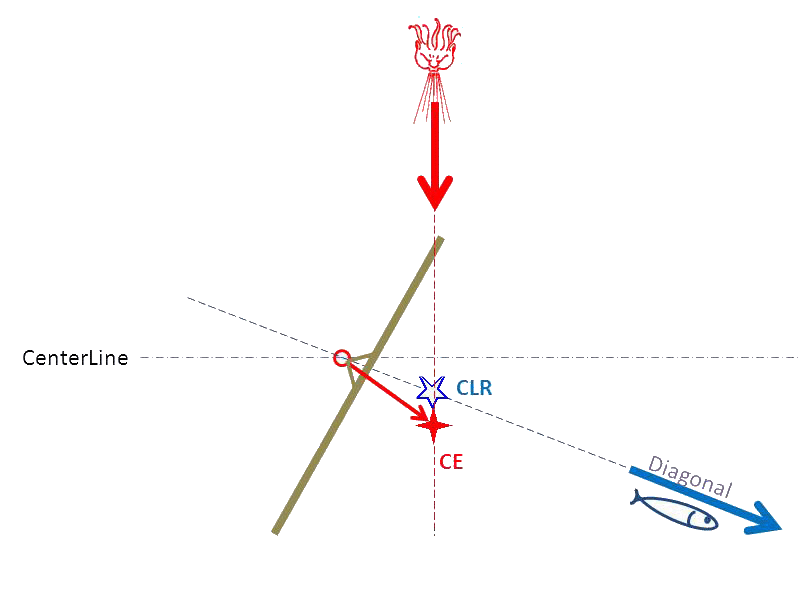 To correct the pointing we simply can move the Hydraulic Center (CLR) more forward, by pushing down more Guaras in front end or lift some up aft in stern, and subsequently the wind will blow its old sail-center leeward to the this new CLR. "and if the sail is adjusted for the pointed course, you are sailing", the rule says - but we don't sail - we have got out of range of the square sail! We will not sail forward, at least! Remember: the CE of a square sail can only be moved in a half circle around the mast. In this case the sail will loose the wind on backside as fill the canvas and blow up the cambered profile. 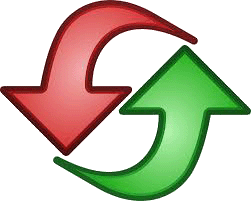 We will get backwind, the sail will collapse and the Center of Wind will move in some way, as probobly will turn up the bow directly against the wind. A play with adjustment of the sail alone, while keeping the Guaras where they are. With all reservation for the point of view and angel of perspective of this photo. 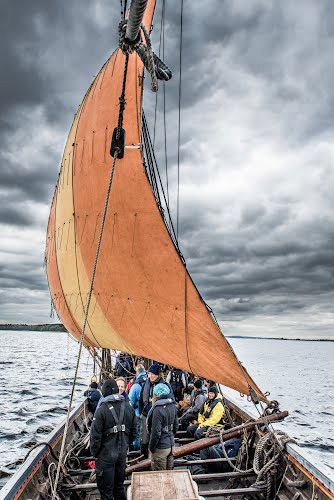 As a desktop excercise we demonstrate, that by turning the sail and only the sail on this photo /drawing 40° more around the mast, the raft will go closer to the wind = we move backward CE. 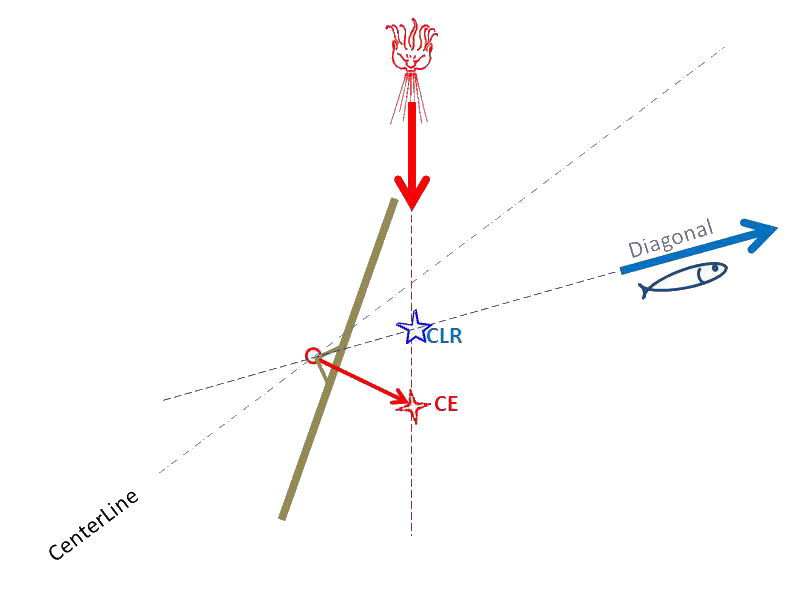 The only step is to brace the yard 40° nearer to centerline, what means move tack and sheet to new positions, then the wind-centre will swing on its half circle around the mast to a position more against aft (on the photo the fulcrum of the sail is a point between mast foot and parrel). Subsequently the wind will blow this new Center of Wind to lee of the old hydraulic centre, as we haven't tuched, and as result the pointing of the whole raft is corrected around the 40° just as we wanted. The raft will still sail on along the diagonal - but closer to wind. With that the raft will go on sailing along her diagonal, but this time hopefully 70° to the wind, which is much better - and at least against the wind. 40° luff up could create a conflict between the canvas and the forestay. If so, you then have to accept the deformation of the aerodynamic profile and reduction of lift - or you have to move the forestay. As I remember the raft Tupac Amaru, she had two forestays, so something could be done - too at sea. If the baggy sail can take this 70° to the wind, then congratulations. 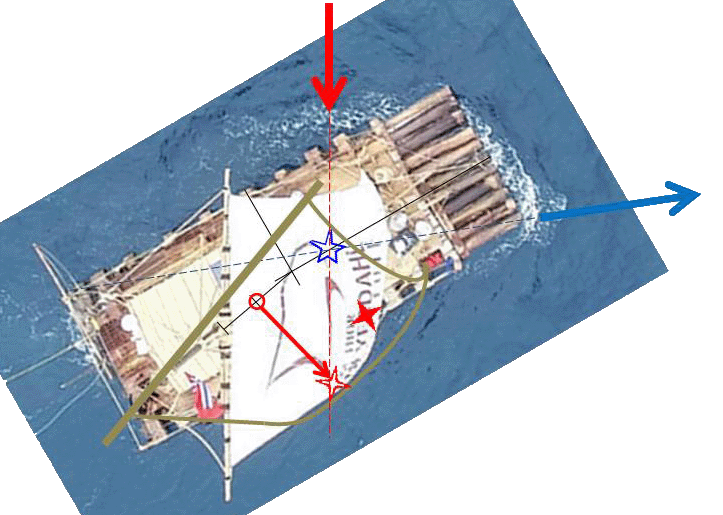 As a secondary result, the yard (colored olive) seems now to divide more correct the angel between apparent wind and sailed course - yielding more propulsion. - but the cost is, that the crew has to move or change the forestay. Try even harder and better. If the actual sail with this rather blunt edge profile, can do even more, then try it. Perhaps with 10 degrees more pointing = 60 degrees to wind. That is rather ambitious for a square sailer, but depend mostly of the shape of sail. The sail unfortunately have got shrinked its boltrope and therefor lost its sharp cutting leading edge, but to correct that, is a larger operation = more days with needles and yarn. But OK - the sail was bought in Poland for "a good price". 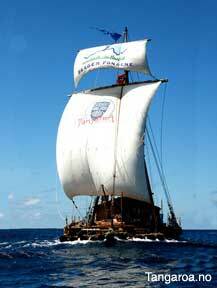 Nevertheless, too the old sail from Tangaroa-2 - 2006 was on board as reserve, and it could have been tried out, even if some known old photos not indicate much better shape. The awkward sailing along a diagonal is OK, as a mend for a faulty hull design, but that only make it more complicated, when you have to go-about and change over to sail along the other diagonal. But neither this is important, being a manoeuvre you don't need so often on open ocean. The important is to be able to beat against the wind. With this analysis it seems as the Norwegians had imported a pure Nordlandsrig with tack, cleat and fastenings, where they in hundreds of years had been placed on a classic Nordlands boat or 'jekta' (symmetric around the centerline of craft) - without to take in account, that in this case they had changed drastic the hull shape of their vessels, and actually crab-sailed along a diagonal - and such diagonal sailing demand a serious adjustment of rigging. Of course they instead could have moved ALL their Guaras against aft and created that under-water resistance in aft-end as their hull was missing - but that is a theme as is explained earlier.